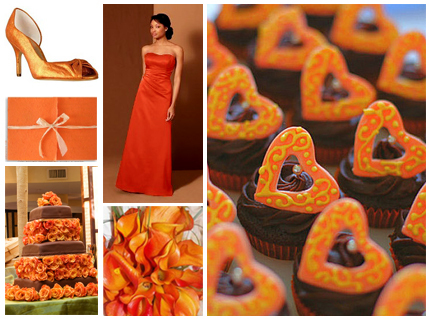 Orange is a VERY HOT wedding color right now. It is perfect for a spring, summer or fall weddings. It is super versatile and can be paired that lots of different colours. Some of these colours include purple, lime green, burgundy, aqua, sky blue, gold, silver, lilac, pink, brown.